The Brazilian recipes are spread in wide range of varieties and Brasil a Gosto is the place where they explore the wealth of flavors possible to find in the country. The best feature of the restaurant is the presentation of the dishes. Despite it is made by average ingredients, found in any family house around the country, it receives a fine dine treatment. Creativity is the main concept. The menu changes every season, but some dishes are always there, such as: casquinhas de camarão com farofa de dendê e o grilled badejo (fish) and castanha baru (peanuts). Every tuesday, ask for the Bife acebolado com arroz, feijão, ovo and batata frita. The really traditional Brazilian meal. Where: Brasil a Gosto - Rua Professor Azevedo do Amaral, 70 - Jardim Paulistano - São Paulo. When: Tuesday to Thursday, from middady till 4pm and from 7pm till midnight; Friday goes till 1am; Saturday, from midday till 5pm and from 7pm till 1am; Sunday, from midday till 6pm. 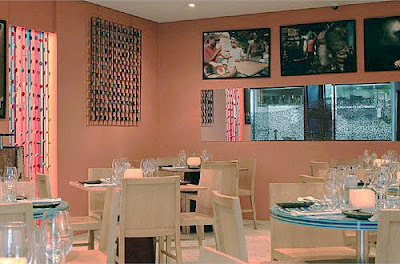 How much: R$ 6 for the artistic couvert during lunch time, Main dishes: from R$ 36 to R$ 72. Business menu: R$ 37,50. Desserts, from R$ 10 to R$ 18.